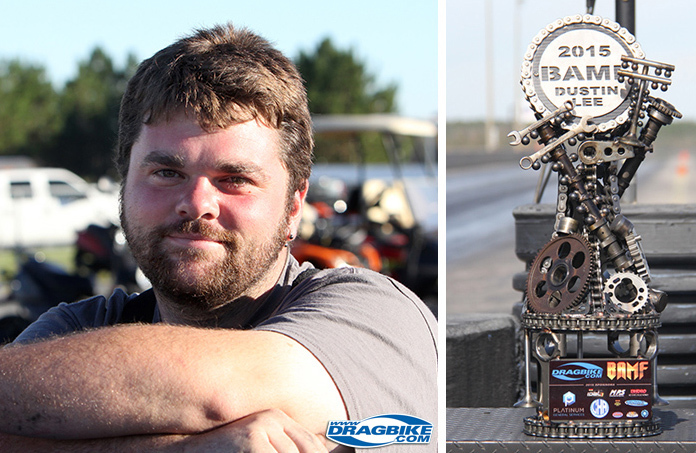 Here we are, the 5th year of the Dragbike.com BAMF program, and so much has changed. In 2014 when we started the program, we had five sanctions (32 events) eligible for the program. For 2018 we now have seven sanctions eligible, giving racers 47 events to potentially earn points, not including the NHRA divisional races. We are sad to say the Southeast Dragbike Racing Series will not be putting on any races this year, we saw a lot of potential in this series, and we hope to see them return in 2019. Bikes in the Valley has grown for 2019 with the addition of a third track to their schedule. Their growth in the Northern section of the states has been great to watch, and we are excited to see Atco Raceway on the schedule this year. New for 2018 is the I-65 South Dragbike Racing Series running at Huntsville Dragway, Music City Raceway and Ohio Valley Dragway. When John Markham called us about this series, we were all in with supporting them. This series will encompass some existing events that we have wanted to include in the BAMF program, but couldn’t because of our rules system. Immediately this series had a lot of great sponsors supporting it, and we are excited to give sportsman racers more potential at earning points. Over the winter we had a lot of racers contact us about suggestions or ideas for changing the rules. It took us well over a month to go through and give each suggestion its due diligence. (Thank you, Ben Knight, for your help!) If you sent us an e-mail, we took it seriously. We used the 2017 results and re-ran them based on everyone’s suggestions. But with all the different ideas that were offered, the outcomes were still almost the same. So we do feel confident that we have the best possible set of rules in place. Dustin Lee has won this award the last three years, and love him or hate him, he put the work in to win. And that’s what you have to do when you want to be the best. In 2014 when we started BAMF, Jeremy Teasley, Ron Arnold, Ben Knight and Bob Carlson, ran hard for this award and it came down to the last race and last pass of the year to determine a winner. What you may not realize is, that year, Dustin Lee finished 29th in points. He told us over the winter he wanted the title and thought he could win it. And in 2015 he did just that, and has slaughtered the competition for the last three years. You can’t deny it, that is a BAMF! But now he is retired, click here to see his retirement announcement, and 2018 will see a new champion. This past weekend Man Cup’s season opener went off kind of sluggish with a full day of rain shutting down racing for Saturday. Despite that, a great showing of sportsman racers claimed the first 10 spot for the Dragbike.com BAMF. Ricardo Marte had a great weekend winning 11 rounds in two tough classes, Top Gas, and Pro ET. He has a two-point lead over the rest of the weekend winners, but this will change in the next few weeks as all the other sanctions put on their first race of the season. This weekend some of the toughest racers in the country will head to Atlanta Dragway for the NHDRO season opener, and this list will change dramatically. Lastly, this program’s CASH payout comes directly from our sponsors and we can’t thank them enough for their support! Last year Platinum Fleet Repair posted a $1,000 bounty on our points leader that would go to another racer if they were able to win the title at the end of the year. That money has been rolled over and is now part of the 2018 fund. Dan Rudd with MPS Racing, who was the first on board to support this program in 2014 is back with a contribution of $500! 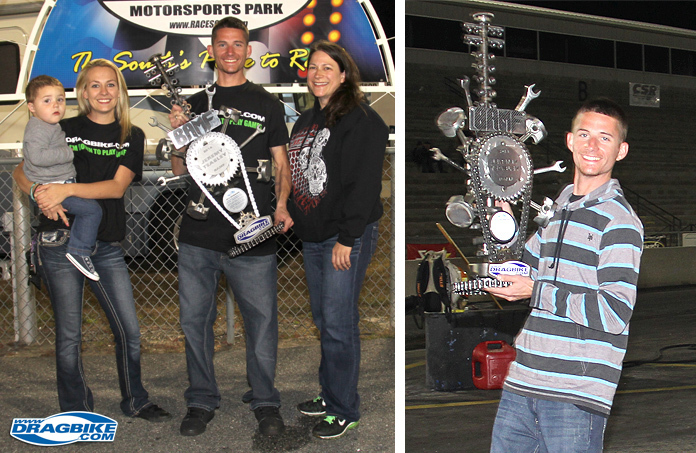 Schnitz Racing, Rob Bush Motorsports, Interstate Specialties, NHDRO and XDA are all in for $250 each. Web Cam is back with a $100 contribution, bringing the total to $2,850.00 – We are just shy of a 3K, but we have a goal of $3,500 this year and have no doubt we will raise the extra cash for our 2018 BAMF champion. Good Luck to everyone this year, and if you need Dragbike.com decals to qualifying, send us an e-mail to bamf@dragbike.com and we will send them out to you free of charge. 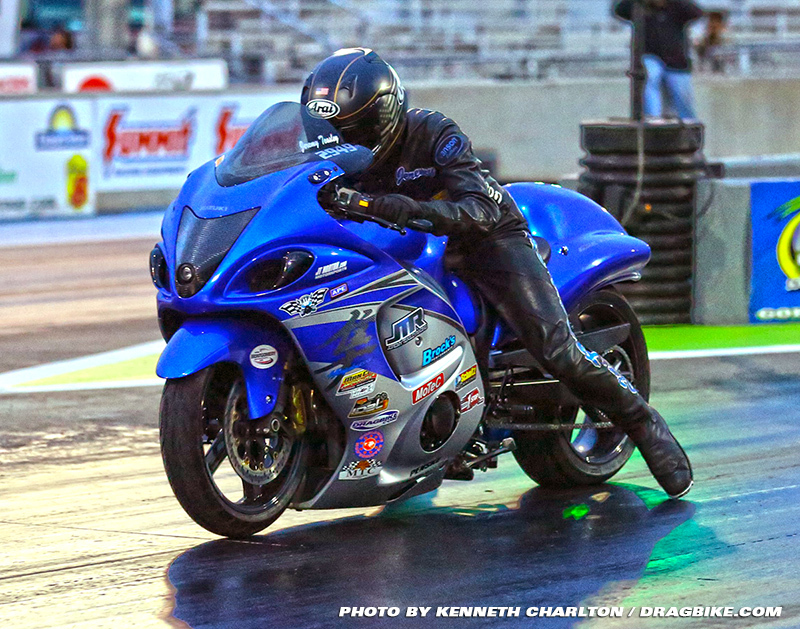 Participants MUST have the Dragbike.com decal on their bike all year to be eligible for prizes, photo proof required. E-mail us your address if you need them.